MERRY CRISS'MASS AND A HAPPY NEW YEAR!!! 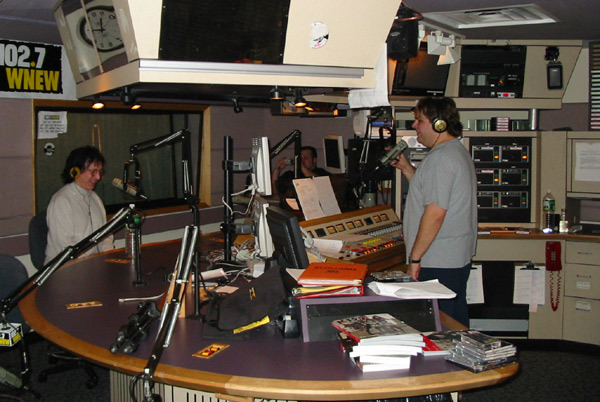 Here's a photo of Peter on the Eddie Trunk show on 12/21/02. This photo was taken while the show was being aired live. For those fans lucky enough to hear the show you know that Peter was in great spirits and had a blast taking calls from his f ans and talking with eddie. After the show Peter went down to the lobby where he took some time to sign autographs and take a few pictures with the fans who were waiting for him. 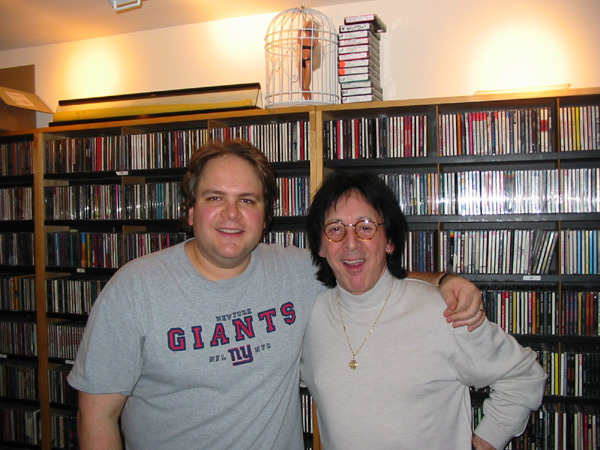 This photo of Peter and Eddie was taken right after Peter's segment on the show. Peter had a really fun time with Eddie and was truly moved by all the fans support and calls from all his fans wishing him a Happy Birthday. Thanks to everyone for all there calls and for listening to the show. 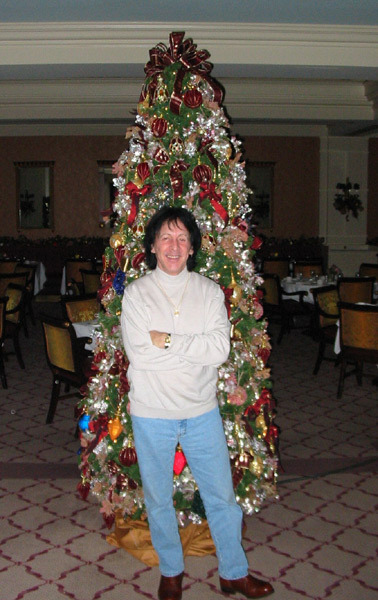 Attention KISS army: Peter will be taking part in "Eddie Trunk's annual Merry KISSmas show". Peter will be on the show this Sat. night 12/21/02 at or around 10:30pm. 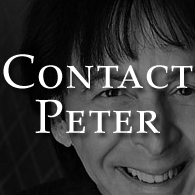 Peter will be taking some calls from his fans as well as playing a few of his favorite KISS songs. 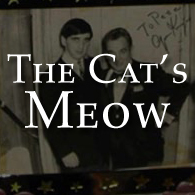 So here's your chance to wish the "CATMAN" a Happy Birthday and hear some of the things Peter's been up to. 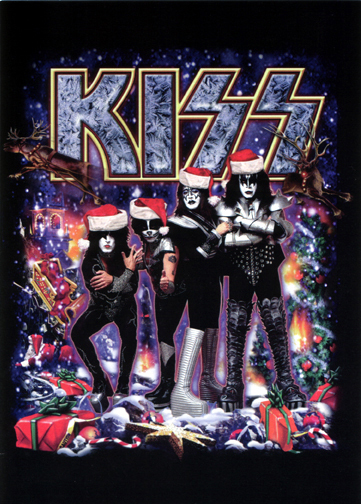 This photo was used as a special KISSmass card during the band's Farewell tour. The band is dressed up with Santa hats and Packages all around and a Tree to the right as well as Reindeer's above on each side and when you open up the card it said s "Merry Kissmass" and has all 4 band members autograph's inside. Nov.20.02 at the City Center was a smashing success! Peter took the stage with style and class and performed "Beth" with Felica Collins-Dr.Gibbs-Scott Yahney and Dave Matos backing him up. Felica's intro for Peter was very cool-Saying	that "Beth" was one of her favorite ballads ever written. Felica is not only a Talented musican but a warm and kind person as well. The rest of the evenings performers were excellent too. Thanks so much to everyone who came out to sup	port such a wonderful cause. Please visit the website for the Families of Freedom 2. Celebrating our 1 month anniversary! 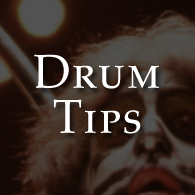 PETERCRISS.NET surpasses 10,000 hits in it's first month on-line. "I get up every morning, have my coffee, and say hello to our canary Vinnie. (My wife Gigi named him after one of our favorite fans.) The third thing I do is check on my	new website and look at the hits. WOW! I love you guys to death, thank you for showing so much support and making every day count." THE GREATEST ROCK AND ROLL DRUMMER IN THE WORLD! 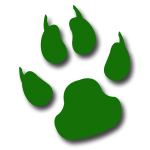 I just wanted to take a second to say PETER CRISS.NET is "FANTASTIC"! 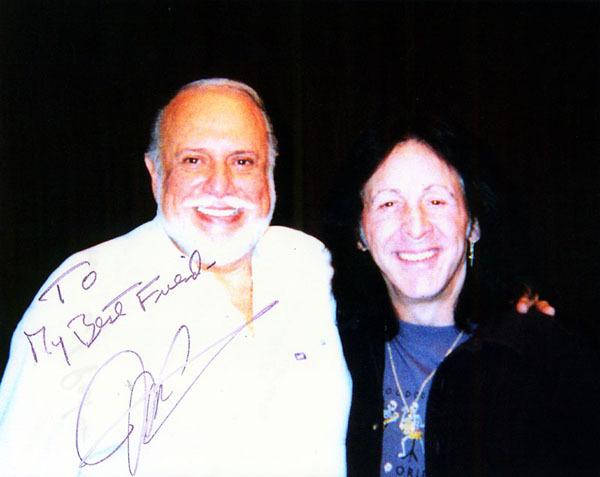 I have been a Peter fan for more than 20 years and he is the reason I play drums.The man has Soul and Style.I am planning a trip to the KISS EXPO to meet Peter in Jan. Keep	up the great work and thank you, JIM A. 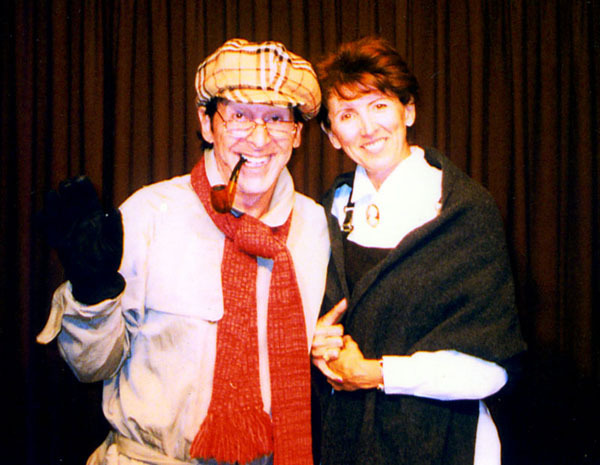 10/10/2002 10/10/2002 This is my acting partner Susan Millard, also working with John Eyd at ATI Acting School. 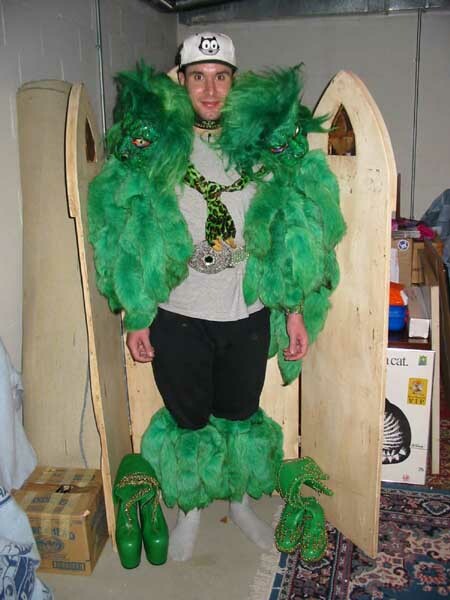 this picture is from a production of "Danny and the Deep Blue Sea", written by John Patrick Shanley. 10/9/2002 10/9/2002 Another production photo with my acting partner Susan Millard. This one is from "Shadows on the Glen." I had a great time with the boys in Australia. When I got off my 22 hour plane ride, it was wonderful to see my Australian fans at the airport to greet me. They made me feel great!!! The press conference was great too - I was taken aback. It's	been two years and I wasn't expecting so much press. 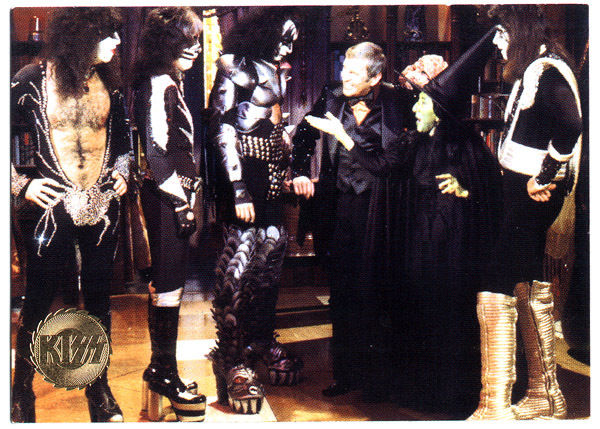 It was really cool to see part of the orchestra in KISS makeup too. I even got a chance to meet one of my favorite movie stars, Sir Anthony Hopkins, WOW! We did 'The Rove Show' TV program	with him.I also did an Interview for Australia Drummer Magazine and I will be on the cover! Check it out. _x000d_ It's nice to be overwhelmed after all these years I've been doing this. I love my fans, Gene and Paul, and I had a great time.This wi	ll be one to remember. 60 piece orchestra - WOW. I am looking forward to this milestone, I hope you are too. 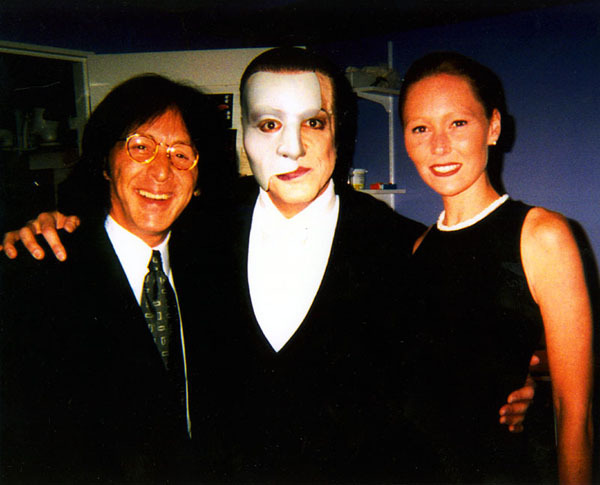 Feb.28th.2003, down under - the Catman meets Mozart. 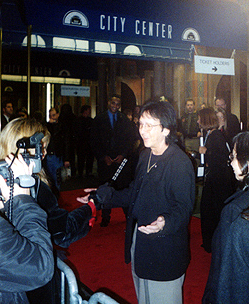 KISS founding member and drummer Peter Criss has agreed to perform a concert in Melbourne, Australia on February 28th, 2003. "I wanted to come back to Australia to perform for my loyal and lovable fans, and I am sure 'The Magic' will l	ive on down under. The Cat has many lives! Look out crocodile hunter! This shot, from Peter's archive, was taken in 1978 during the LOVE GUN tour. It was part of the promotional press kit for Peter's version of the famous solo album releases. Peter says this is one of his all time favortie photos. He also menti	ons that it took him a while to get comfortable working with this 800 pound panther. The trainer said that this particular cat had been known to lash out at anyone who didn't "respect" it. 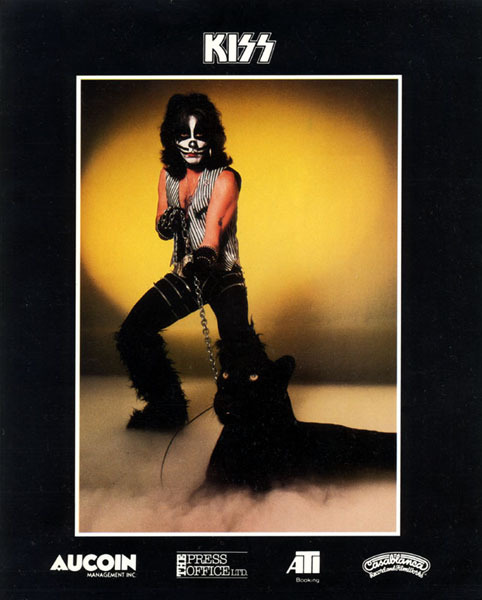 But the cat and the Catman hit it off, and the resulti	ng photo has gone down in KISStory as one of the most memorable ever. Thanks to my Web Staff!!! 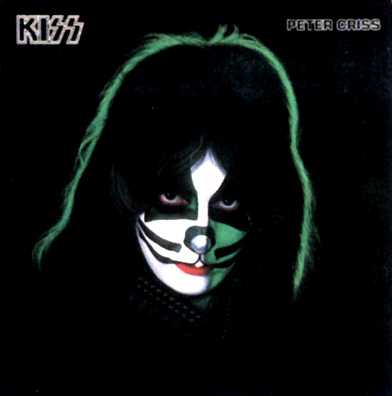 I'd like to take a minute to Thank the Great People that helped take PeterCriss.NET from an idea on a napkin, to the great site you see today. A Very Warm Thank You to; Jeff S Mellin (Webmaster), Eric Sanchez and Mark Bell - All of whom setup a nd maintain and update my site, as well as to Prince Hal, Laura Saravia and Eric Hope - Who helped with the intial set up for my site- "We couldn't have done it without you". Pictured to your left is your Webmaster-Jeff S Mellin in Peter's Dynasty Costume. 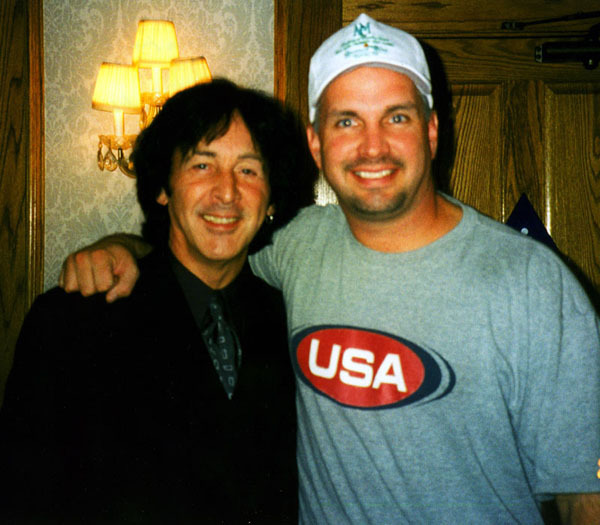 Here is a picture of Peter with country music star Garth Brooks. This picture was taken at a benefit show that they both attended in 1999. 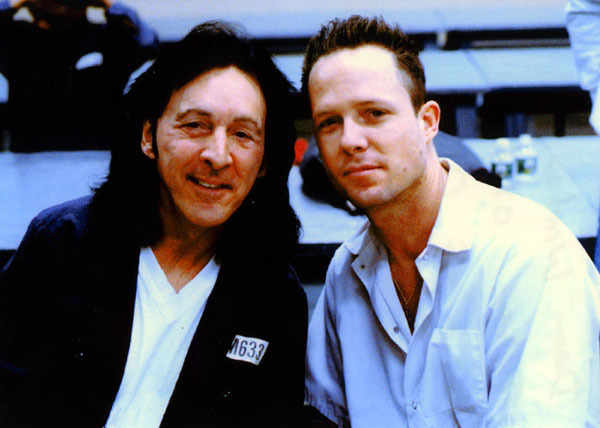 During the reunion tour, Ace and Peter were approached by the producers of the FOX sci-fi program "MILLENIUM". This is Peter's personal polaroid, taken backstage before shooting. 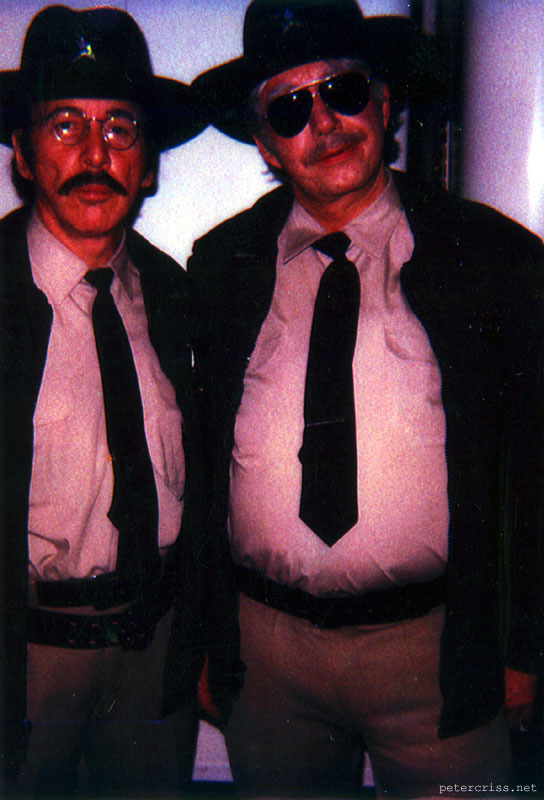 They played state troopers in this episode. 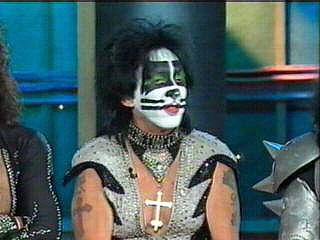 In 1998, KISS bandmate PAUL STANLEY appeared in a Toronto based production of the popular stage musical "PHANTOM OF THE OPERA." Peter and wife Gigi went to the show to show their support. This photo was taken backstage after Paul had wowed the	crowd with his distinctive performance. Here is a shot of Peter with the maker of REMO drum and percussion products, Mr. Remo himself. 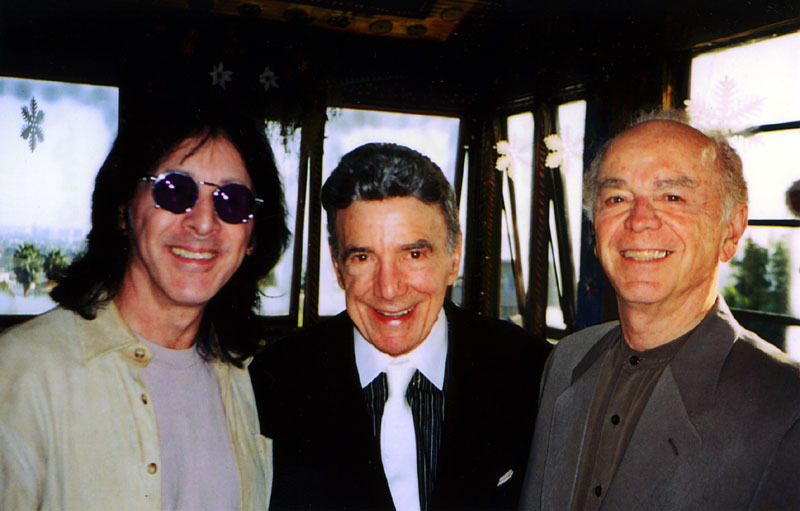 And in the center is world renowned drummer Louis Bellson, someone Peter has long admired. This was taken at a Los Angeles Drum Workshop in 1998. "Some of my favorite cats..." says Peter. 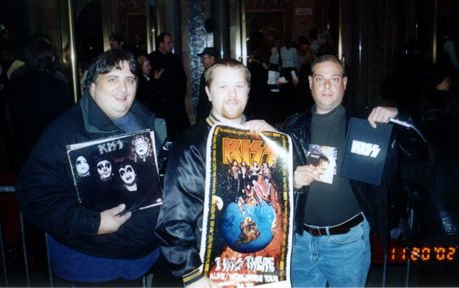 Fans from the U.S.A., Germany and Sweden (from right to left) they are Steve Sils, Marco Drasdo, Vinny Gonznales, Mike Naimoli, Jeff Mellin, Frank Soennenwald, Niklas Olsen, backstage 12/31/98	at The Palace in Auburn Hills, Michigan (Detroit) during the Psycho Circus Tour. HBO's popular prison drama program "OZ" will be airing Peter's appearance as "Prisoner Martin Montgomery" on the show from earlier this year. Pictured here, is Peter with friend and one of the stars of the show, Dean Winter . 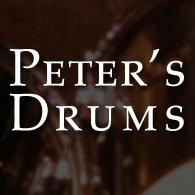 Peter will soon take part in the upcoming benefit show for 'Families of Freedom', a performing organization dedicated to raising money for the children of parents lost in the WTC Terror Attacks in September 2001. The show is November 20th, 200 2 at the City Center in NYC with Natalie Cole and other guests.Come help the Catman support N.Y.C. KISS bandmate Gene Simmon's new magazine TONGUE is now on newsstands. Issue #2 will feature Gene's interview of Peter which took place this summer. We can't leak out the details of the interview, but suffice it to say that no topic was off-li	mits, and nothing was held back. Check your local retailer for magazine release date.